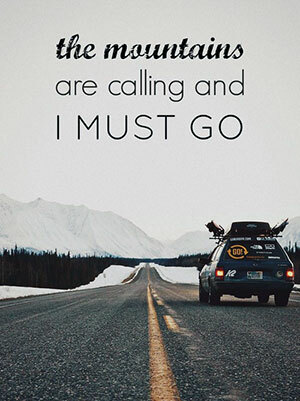 So, you’re think of living the dream, packing all your stuff in the old Subaru and heading for the mountains to live and breathe skiing and snowboarding 24-7. But unless you’re a Trustifarian (see below), you’re going to have to find some sort of employment — or an otherwise legal means of procuring funds — to support your new and, considering the cost of living in and around many resort towns, expensive lifestyle. If you can score a job at a popular nightspot, you can make great money and have your days free for riding. Also, a day job at a restaurant or bar at the resort’s base or on the hill will allow you to make a few turns on your breaks. Pros: Meals won’t be much of an issue during work hours. Cons: Trying to catch the first lift on a powder day after working until 2 a.m. or so. Patrollers at most major resorts make a pretty good wage, by resort standards, and they have a kind of a danger-man sexiness (even the women) that other resort-related jobs just don’t have. Plus, avi puppies. Pros: First tracks on a big powder day. Cons: Handling explosives on those days. This can be a well-paying job at the higher certification levels where private lessons and tips can be factored into the account. Being on the carpet and beginner hill is not fun, so get to Level II and III quickly and ride bumps, powder and double diamonds all day. Pros: By wearing a ski school uniform, you don’t have to worry too much about on-hill apparel. Cons: See Pros. Most mountain resorts are on federal land, so there are number of well-paying Forest Service jobs to be had in the area. Because many of these positions require outside work, they are usually done between April and October, leaving you free to do your thing in the winter. Pros: Helping to keep the forests healthy. Cons: Sometimes weird government regulations. Writing a regular post about skiing and snowboarding for on-line publications doesn’t pay a whole lot, but it can produce other benefits, such as complimentary lift tickets and, occasionally, a very low-cost junket. Pros: Being an influencer in the snowsports world. Cons: Coming up with original story ideas. Although not an overly well-paying job, you are on the hill every day making turns and often leading tours of the mountain. This is a perfect position for the ski bum who has reached a certain age group (retired with pension and Social Security benefits). Pros: Taking pride in your resort by showing people what great a hill you have. Cons: Dealing with inane questions (“Where do they put the moguls in the summer?”). A career arc for “a young person with the fashion sensibilities of a hippie, or any other countercultural trend, who subscribes to an unemployed, shiftless life of hedonism based upon an unlimited amount of funds, typically a trust fund.” A tough job but somebody’s gotta do it. Pros: You don’t have to worry about making the rent. Cons: You can’t pick your family.